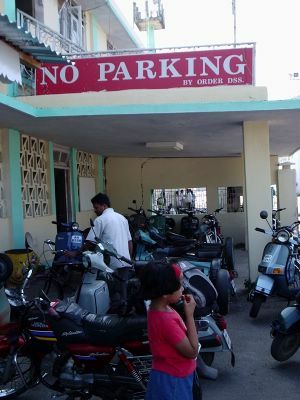 A 'no parking' zone in Port Blair, Andamans. Similar story in other Indian cities too. What can I say. Maybe our people need a Cut-out.! of the No-Parking sign. !